Southport, CT - January 26, 2009 / -- DiversityBusiness.com, the nation�s leading multicultural business website, today announced the Div500, the 9th annual listing of the nation�s top 500 diversity-owned businesses. Ranging in revenue size from $20 million to over $2 billion, the companies listed on the Div500 represent the nation�s top multicultural earners and challenge the long-held notion that diversity-owned businesses are small or insignificant. At the top of 2009�s Div500 are Software House International, Inc., headquartered in Somerset, NJ, with $3.0 billion in 2007 revenues, NCM Capital based Durham, NC, with 2.4 billion in 2007 revenues, World Wide Technology, Inc., headquartered in St. Louis, with $2.0 billion in 2007 revenues, and Viewsonic Corp. based in Walnut ,CA, with $1.6 billion in 2007 revenues. 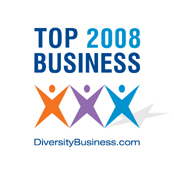 The �Top 500� companies will be honored at a special awards ceremony at DiversityBusiness.com�s 9th Annual Multicultural Business Conference, taking place April 29 � May 1, 2009 at Disney�s Contemporary resort in Orlando, Florida. �Diversity-owned businesses contribute over $1.4 trillion in sales to the U.S. economy,� said Kenton Clarke, CEO of Computer Consulting Associates International, the company that built DiversityBusiness.com. 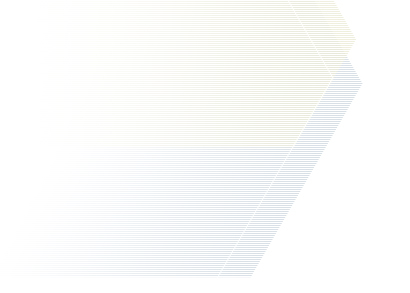 �It is no longer just �the right thing� to do business with diversity suppliers. Because of recent economic and demographic trends and changes, major corporations are realizing that having a diverse supplier base positively impacts their business revenue from this sector of buyers�. �This group represents the entrepreneurial spirit that drives our economy and even more. It offers insights into a vastness of cultures and an exchange of ideas that are so valuable in helping me to understand how to reach the needs of today's consumers� commented Gloria Bohan, CEO of Omega World Travel from Fairfax, Virginia. The Div500 is a classification that represents the top 500 diversity-owned (Women, African American, Hispanics, Asians, Native American and other minority groups) businesses in the U.S., in sectors such as technology, manufacturing, food service and professional services. Major corporations, government agencies and college/universities throughout the country that do business with multicultural and women-owned businesses use the list The Div500 is produced annually by DiversityBusiness.com, the nation's leading multicultural B2B Internet portal that links large organizational buyers to multicultural product and service businesses.